Napaka-SOULFUL ng Voice nya!! Plus yung Birit at high notes nya, SWABENG-SWABE!! For me, I've heard the PERFECT CONDITION OF SARAH'S VOICE IN THIS CONCERT..
Lalo na yung finale parts, ang taas ng boses nya dun!! Eto po.. Last Parts na po yan ng concert.. I have to say, Ibang-iba ang boses ni Sarah sa live compare sa recorded videos.. talagang tataas ang balahibo mo sa ganda ng timbre ng boses nya at pagka-soulful nito.. Idagdag pa ang matinding high notes..
Edited by RyAn07, 13 February 2011 - 12:55 AM. 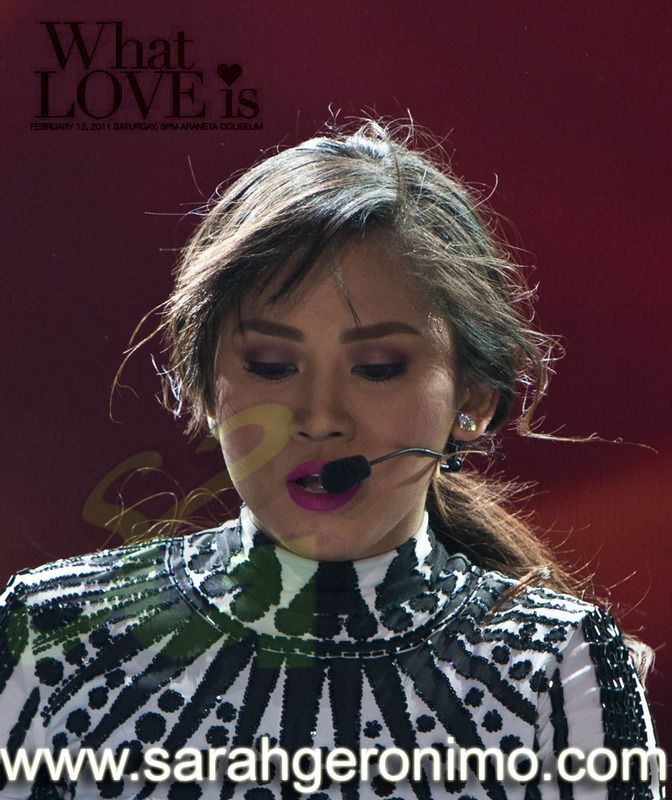 sound, dinig pa rin ang ganda at taas ng boses nina bebe Sarah at Martin! Hintay na lang uli ako ng magse-share ng vid noon "HCYSYLM" at "FNE"
God is good because our prayers were heard for Sarah G. It was indeed an excellent concert from what I gather from all the kwentos and videos. Thank you so much for all who took time to post pics and videos. It truly meant a lot for those of us who are not in the concert. I love the vtr opening of WLI, it shows why we all love Sarah. I love her laugh, her innocense, her candidness, her smile, her beautiful face and so much more. I've actually watch it for the tenth times I think. Edited by ining1, 13 February 2011 - 01:18 AM. Thanks to arlensarah.. ang Galing!!! thank you KUya C!! tamang tama! kelangan ko ng new wallpaper sa comp! hehehe..salamat po!